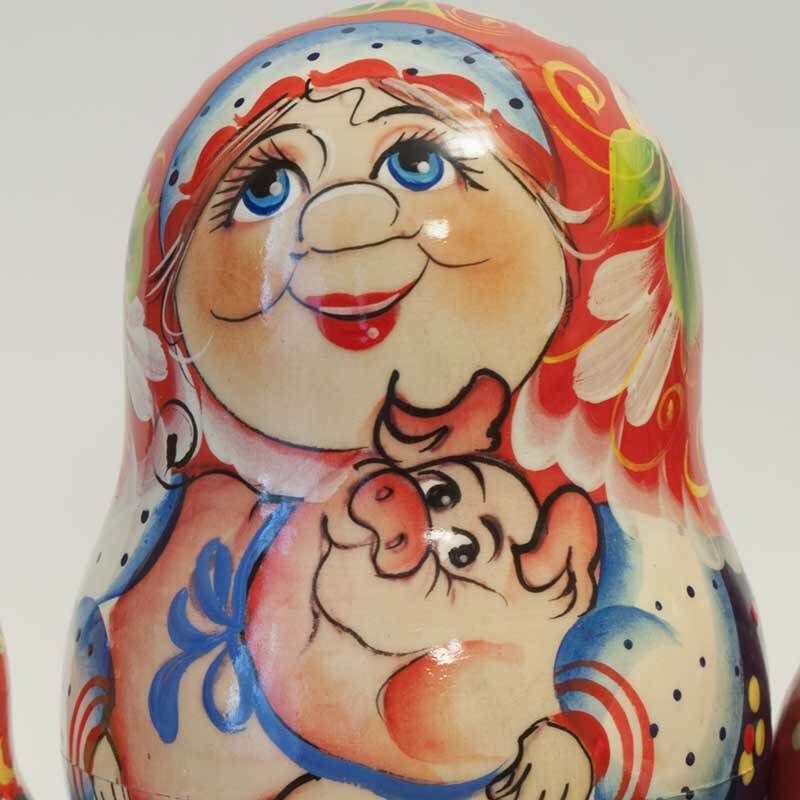 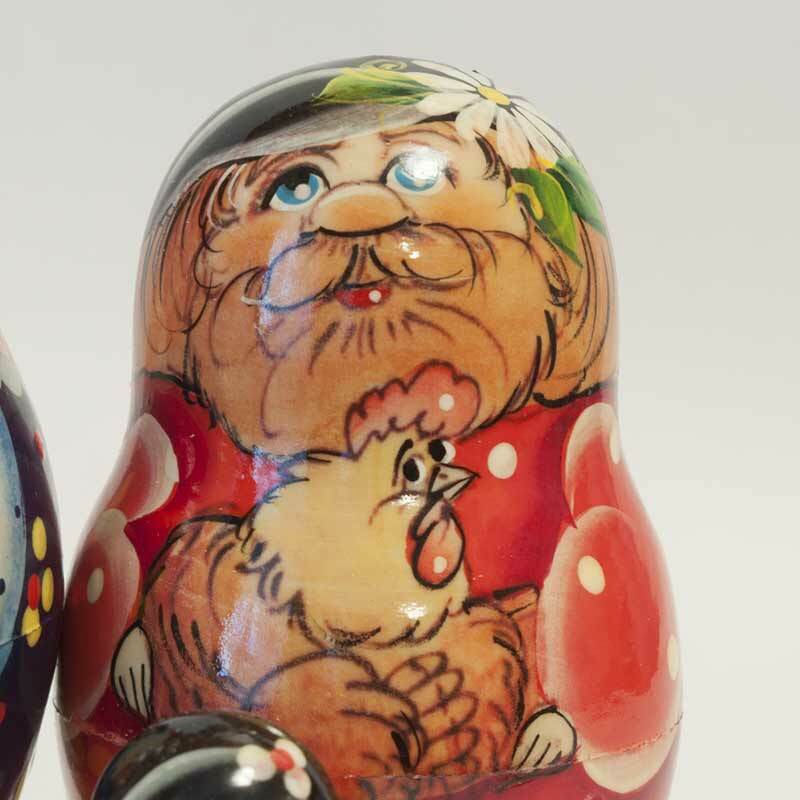 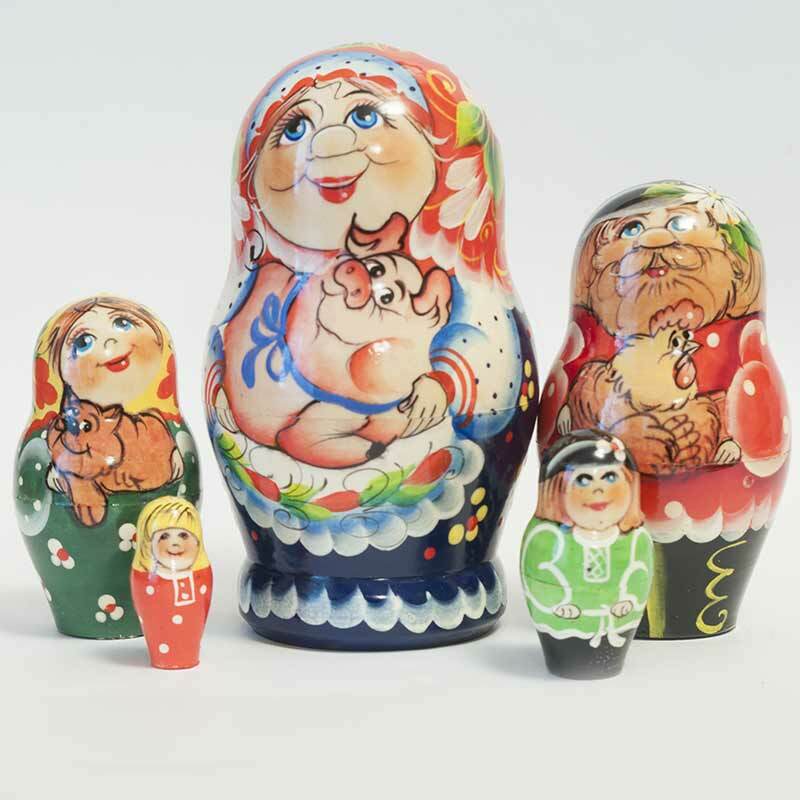 Russian Family Nesting Doll is a hand-painted nesting doll which describes Russian peasant family -there are father is holding a pig, mother is holding hen and three children. 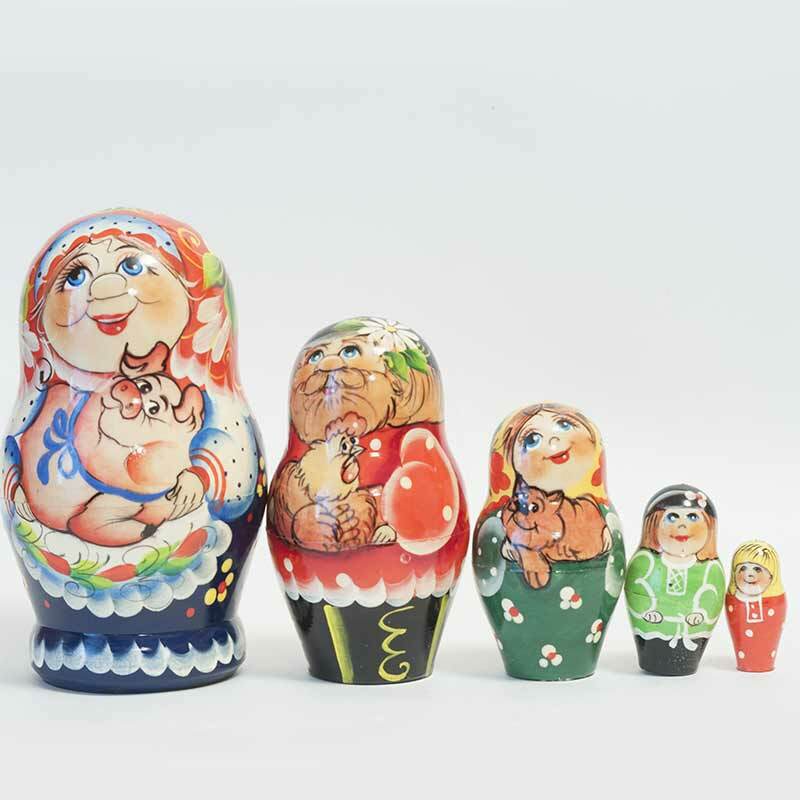 The nesting doll is painted with good sense of humor. 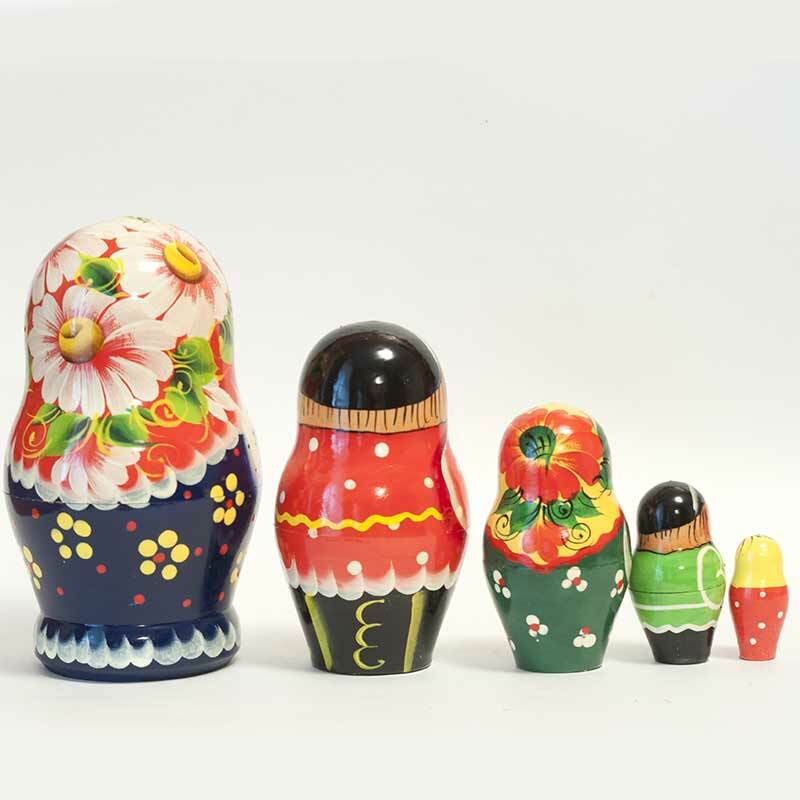 The matryoshka doll is painted with non-toxic paints and finished with glossy lacquer.